Got Rotten Wood? We can fix it! 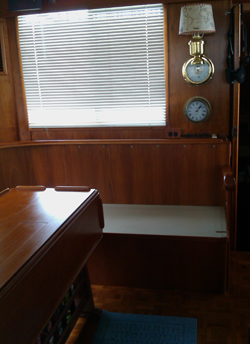 Here is a bench seat that was rotten and is now completely refurbished. At TNT Marine Upholstery we promise to serve our clients with respect and 100% commitment to the job at hand. Give us a call if you have any questions. 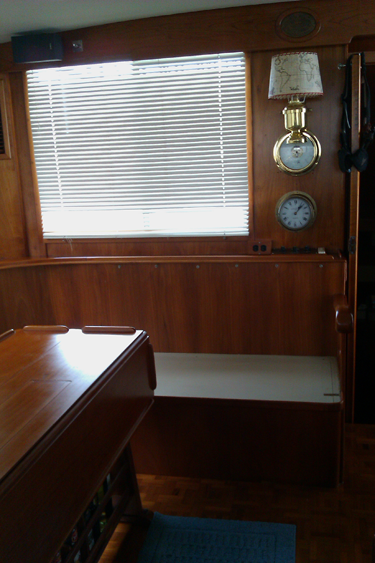 Our specialty is interior boat restoration; covering and re-covering all areas - bunks, window & hatch coverings, settees, salons, staterooms, galleys & captains chairs. 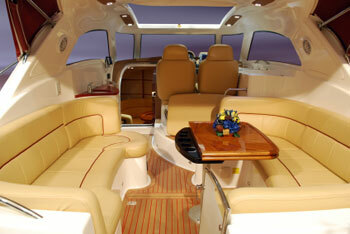 Anything that needs upholstery - we can do it. 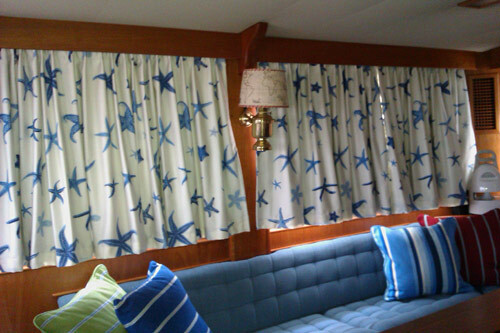 We use only quality custom marine upholsteries, marine grade fabrics and vinyls. 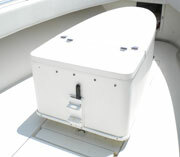 New foam replacement is also of the highest grade marine quality. 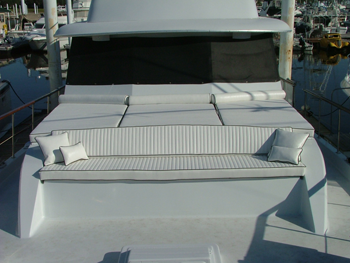 Our experience with exterior boat cushions includes custom cushions for all seating areas. Need Deck Cushions? We can do it! Our services also include patio seat cushions, one piece chaise lounge cushions, and pool side cushions. All of our products are made to withstand nature's elements whether on land or at sea. Visit our other web site www.customcushionsetc.com for information on our residential custom cushions for home and pool side. 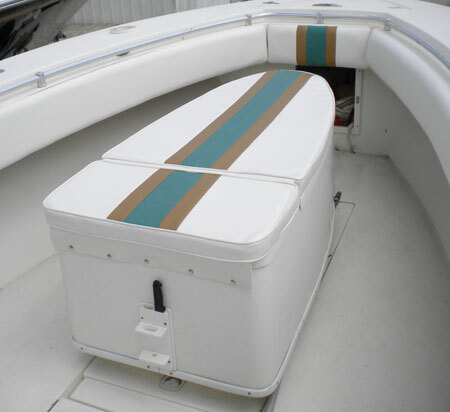 You will need to measure the sail area for your specific sail, please call the shop and talk to Deb at 832-867-1283 to determine where to measure. Do you have a marine or upholstery project you're doing yourself? Need those hard-to-find supplies? 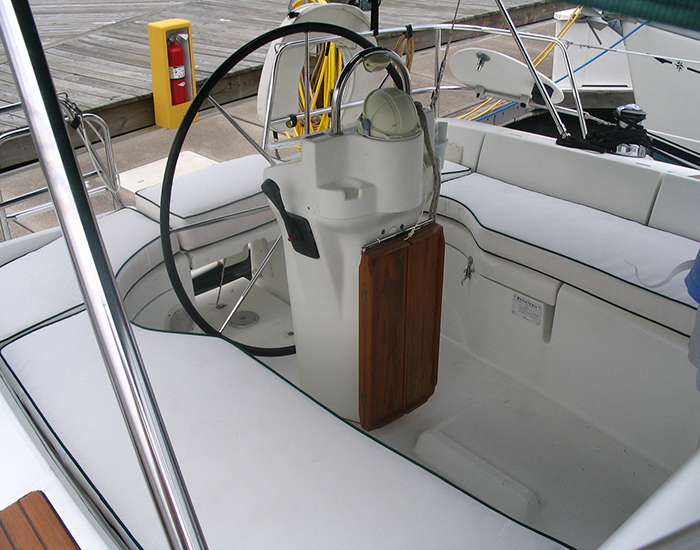 TNT Marine Upholstery can help! Call us today and schedule some time to come by the shop. We can go over your supplies list and make sure you've got what you need to complete your project yourself. And, if you find you need our help, we'll already be familiar with what you are doing! !